Ira has been a member of the Clayton-Hamilton Jazz Orchestra for over 25 years now, and is one of the few original members, along with Clay Jenkins, George Bohanon, and Maurice Spears. Some of the highlights have included numerous recordings with Diana Krall, Natalie Cole, Dr. John, Barbara Morrison, Charles Aznavour,Ernestine Anderson, Milt Jackson,Tranje Oosterhaus, Leon Russell, and their very own CHJO instrumental recordings featuring the talents of all the members with-in the band. 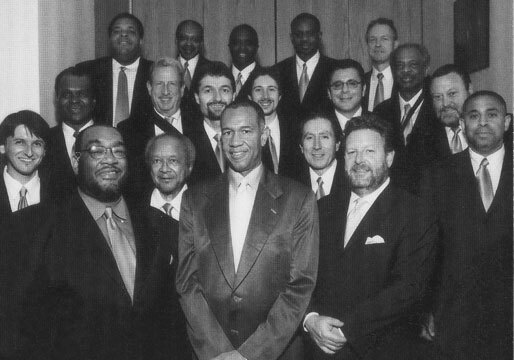 John Clayton ( see johnclaytonjazz.com) writes for the members of the orchestra knowing their strengths and talents. Other memorable experiences have included a three year contract with the Hollywood Bowl for their jazz nights at the Bowl in the summer, three nites 'Battle of the Bands' with the Lincoln Center Jazz Orchestra at Lincoln Center, numerous tours of Japan with special guests including Benny Carter, Diana Krall, the Brecker Brothers, and several jaunts throughout Europe. The band has been featured in jazz festivals throughout the United States and the World, and has been on the Downbeat Reader's Poll as favorite Big Band.